Last spring, I canned a jar of pickled garlic scapes. 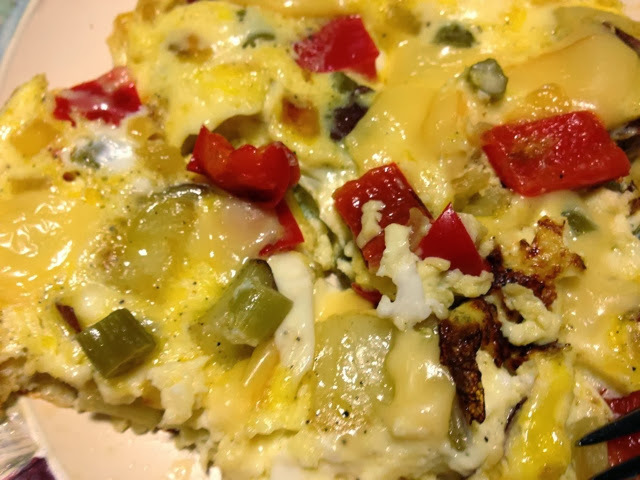 They're a little too garlicky for my tastes eating straight-up, but I've found they add a nice mild garlicky vinegary crunch to sautéed dishes like this frittata we had for dinner tonight. They almost taste like green beans with a whole lot more flavor.